...the “Frankfurt School”, had one purpose: the destruction of Western Culture. Bill Whittle explains the rise of Cultural Marxism,the foundation of the Frankfurt School and its infiltration of the culture through education and the media. The Institute for Social Research is an organization that was established in 1923 as a result of a meeting that Vladimir Lenin organized, in late 1922, with a group of German intellectuals. The Institute for Social Research, later known as the “Frankfurt School”, had one purpose: the destruction of Western Culture. They decided that the only way to destroy western civilization was to destroy it's culture. The presentation on the Frankfurt School details, as a record of history, who the members were, how they have influenced and continue to influence and undermine the culture. It also explains why it has been effective and identifies the subversive yet “overt” tactics being used today and what needs to be done to reverse it. Many of those whom were active in the 60's Counter Culture Revolution continue the work today, many of whom are either in Government or in positions of power and in institutions of cultural influence, including religious! It is imperative that Americans learn to understand the activities of the Frankfurt School. The foundational ideology deeply embedded in Common Core, originate from the Frankfurt School. Many things going on in our culture today are not an accident, coincidence or a natural deviation. The Frankfurt School has brought to America what is called “Cultural Marxism. Armando is a current board member of the Volusia 912 Patriots, a member of the Spruce Creek Patriots and the Communications Chairman for the Volusia County Republican Executive Committee. He, along with his wife, are the producers of the Tales of WatervilleTM, wholesome animated shows for Children based on Christian values. (talesofwaterville.com). As an independent producer of children's animated content, and media professional, he has seen first hand how the culture is being influenced through entertainment and media. Over the last few years he and his wife have rolled up their sleeves and been active in several Patriot groups on a county and state level advocating our Nation's Constitutional founding. Armando has been studying Socialism, Communism and Globalization for a few years and is active at any given opportunity to speak on these subjects. He has recently been active in helping bring awareness on the issue of Cultural Marxism and how much of an impact it has had on American Society. Armando, a water baptized born-again Christian, has also taught bible study for over 15 years. He and his wife have been guest on local talk radio, speaking about the 912 movement and the current attacks on our culture. Armando was recently a guest on Sons of Liberty Radio Show. Armando is co-editor of the Sunshine Examiner (sunshineexaminer.com), an online and print publication of the Volusia 912 Patriots which publishes articles on subjects from Common Core, the evils of Marxism, and more. The term "Frankfurt School" arose informally to describe the thinkers affiliated or merely associated with the Frankfurt Institute for Social Research; it is not the title of any specific position or institutionper se, and few of these theorists used the term themselves. 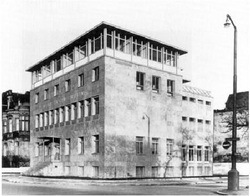 The Institute for Social Research (Institut für Sozialforschung) was founded in 1923 by Carl Grünberg, a Marxist legal and political professor at the University of Vienna, as an adjunct of the University of Frankfurt; it was the first Marxist-oriented research center affiliated with a major German university. However, the school can trace its earliest roots back to Felix Weil, who used money from his father's grain business to finance the Institut. Weil (1898-1975), a young Marxist, had written his doctoral thesis (published by Karl Korsch) on the practical problems of implementing socialism. With the hope of bringing different trends of Marxism together, Weil organized a week-long symposium (the Erste Marxistische Arbeitswoche) in 1922, a meeting attended by Georg Lukács, Karl Korsch, Karl August Wittfogel, Friedrich Pollock and others. The event was so successful that Weil set about erecting a building and funding salaries for a permanent institute. Weil negotiated with the Ministry of Education that the Director of the Institute would be a full professor from the state system, so that the Institut would have the status of a University institution. Although György Lukács and Karl Korsch both attended the Arbeitswoche which had included a study of Korsch's Marxism and Philosophy, both were too committed to political activity and Party membership to join the Institut, although Korsch participated in publishing ventures for a number of years. The way Lukács was obliged to repudiate his History and Class Consciousness, published in 1923 and probably a major inspiration for the work of the Frankfurt School, indicated that independence from the Communist Party was necessary for genuine theoretical work. The philosophical tradition now referred to as the "Frankfurt School" is perhaps particularly associated with Max Horkheimer (philosopher, sociologist and social psychologist), who took over as the institute's director in 1930 and recruited many of the school's most talented theorists, including Theodor W. Adorno (philosopher, sociologist, musicologist), Erich Fromm (psychoanalyst), and Herbert Marcuse (philosopher).